This note describes a partial perimeter walk of the largest hill fort in England. This walk covers some six miles and takes in the major extend of the fort and covers the two stages in it’s development. Stanwick is very close to the Scotch Corner junction of the A1, close to Darlington. From Scotch Corner, take the A66 towards Barnard Castle for a couple of miles then take the right turn towards Forcett. 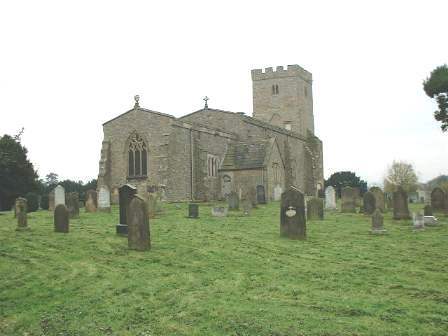 The road will take you past part of the defenses, at which point a left turn will take you to Stanwick St John Church, which is a suitable starting point for any visit. The original Enclosure dates from around 400 BC, so far this has not been mapped but it appears to have been a small settlement. Around 50AD this original enclosure was then replaced with a 650 acre “super fort”. The building of this stage has been widely attributed to Venutius, given the period in history and was abandoned before the end of the 1st century AD. Much later in medieval times a further fortification was “butted up” to its southern outer wall.. The history of this remarkable place is still being pieced together but all indications are that this fort was the most important site for the Brigantes in the immediate run up to the Roman conquest of Brigantia in AD. 69-70. Recent excavations by Colin Haselgrove have to a certain extent conflicted with Sir Mortimer Wheeler’s original evaluation and also in part with the authors. 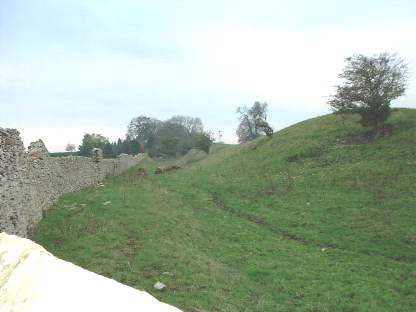 Haselgrove extends the chronology to the middle Iron age and claims that the largest outer wall (Wheeler Phase III) was built first in a growth stage in the mid 1st century AD. This was then subdivided with a smaller better fortified area within. Evidence of high status has been found in the form of a building of a significant and unusual size, accompanied with high status Roman artifacts. Our own site visits indicate that there are significant areas of interest yet to be excavated and it is certain that Stanwick has more secrets to tell. 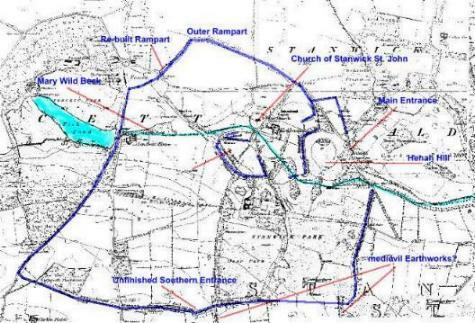 Also certain is that the history of Stanwick holds the key to the story of the Roman conquest of Brigantia in 69-70AD. 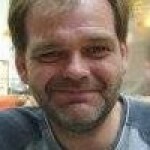 Recent early days investigations linked with Carl Wark indicate that Venutius may have been responsible for a dike running from Sheffield to Rotherham, possibly on to Doncaster and following the Don up to the Humber. Alongside this at regular intervals are a series of fortified Iron Age camps, of which Carl Wark may be a member. If proven this would indicate that long fortifications were considered defensible, and if this line did show Venutius’ south eastern border, it is unlikely that Cartimandua will have been establishing a trading post at Scotch Corner at the same time. 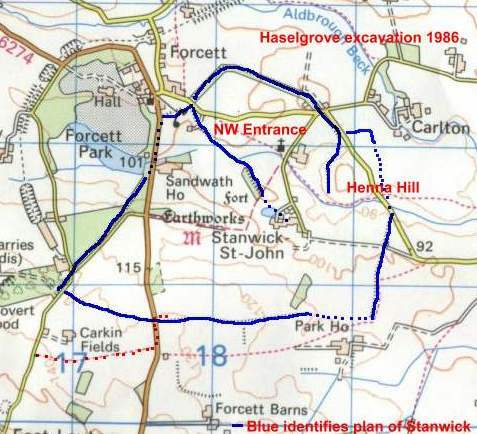 Map of Stanwick, Haslegrove’s outline of the fort in blue. From the Church of Stanwick St John walk along the road down towards Tofts Hill across the Mary Wild Beck and to a footpath into the hill on the right hand side of the road. Take the footpath up through the center of ‘The Tofts’ hill area, this allows a view of what Wheeler regarded as the first phase of the building of Stanwick however Haslegrove with a much more recent excavation has proposed a different chronology and thinks that this was the final phase of building at Stanwick, adding the high status area. About half way along this stretch of the wall, (OS 182107) there is a circular tower, which was obviously a much later folly. Also at this point and more prominent, is a half-sunken water tank, which looks very interesting, but isn’t. After following the track for about a mile and a half the defenses travel through a plantation, and the track follows the rampart through the wood along a clear track in an easterly direction. Further along this stretch the rampart diminishes to a slight mound and ditch – no more than a 1.2m total drop. Clear evidence that the ramparts at this stage have been collapsed for some time. This however does not look to be due to activity in the Iron or Roman ages. More likely is that this is due to the medieval ‘extension’ which, if Sir Mortimer Wheeler was right, is due to a much later Saxon work, linked to the nearby Scots Dyke. The ‘Inner Sanctum’ taken from the south, close to the Mary Wild Beck. In the foreground the ditch left by a possible extension to the beck can be seen. Towards the south and south west the northern defenses can be seen curving round to the Beck in all their glory. To the East The Tofts Hill ‘Inner Sanctum’ can be seen. 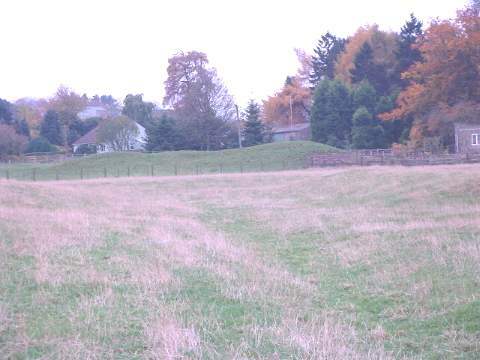 Note that wide furrows in the field to the west of the beck show that the enclosing rampart for the ‘Inner Sanctum’ may have originally extended down to the beck. This is a good point to see the furrows left by the two sets of parallel earthworks which extend the ‘Inner Sanctum’ to meet the Beck. 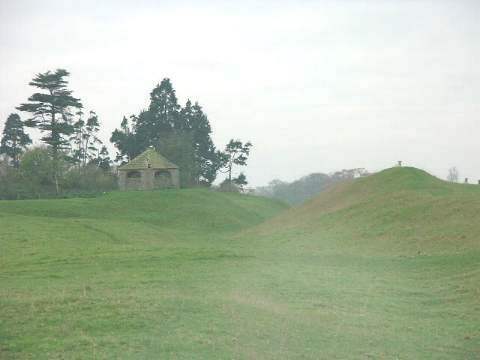 The first travels from the point of the small bridge up to the nearest house in a northwesterly direction, here it seems to meet the interior forts south eastern defensive wall. The second starts much closer to the church, and is an obvious extension to the line made by the northern rampart. 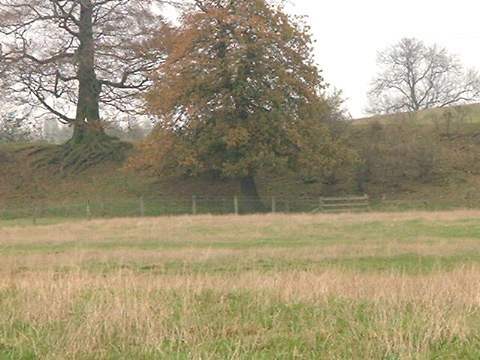 After about a mile along the road a signpost indicates “Stanwick Fort” and points to a short path to the right of the road, at the end of which is one of the most impressive sights of the visit – Wheelers reconstructed wall. 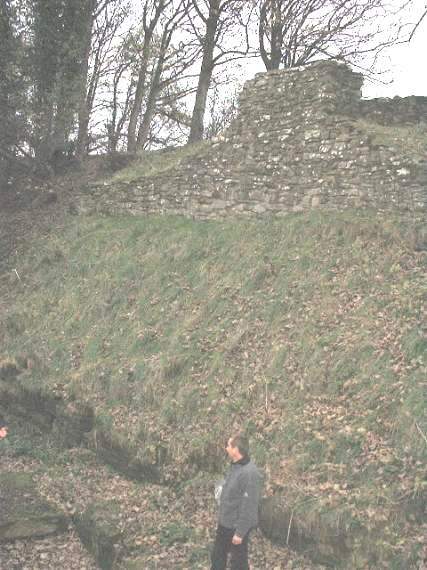 “Wheelers Wall” with a colleague standing at the foot of the ditch. 2. 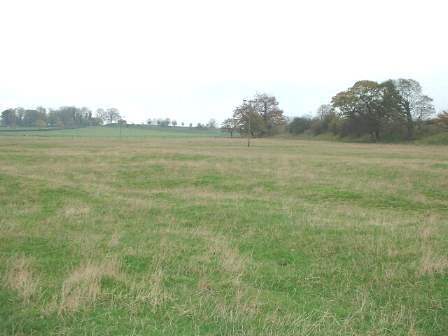 It is not clear as to whether Stanwick was defeated by the Roman’s or abandoned, however most of the excavation work has centered within the Tofts Hill area and this is not likely to show signs of siege activity or weaponry used. 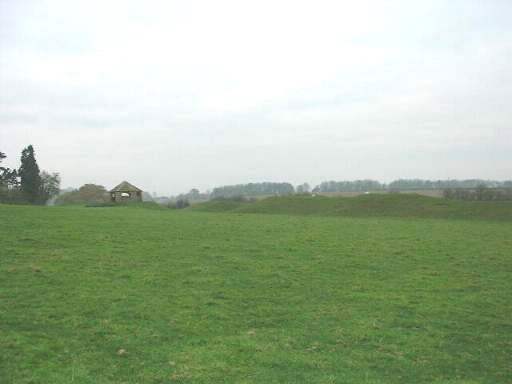 Stanwick does not appear to have had a large scale incursion, unless the ‘undefended’ south eastern section hides an outer rampart which was completely slighted. 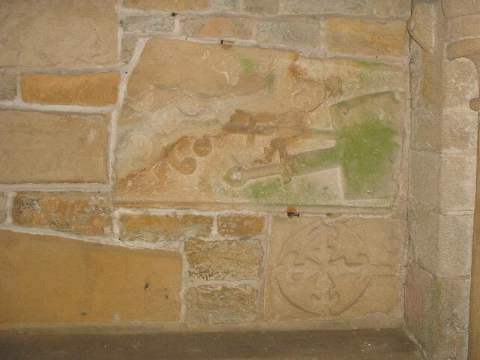 There is partial evidence of attack on the South western side. 3. The high status Roman artifacts represent Venutius’ ‘spoils of war’ after his defeat of Cartimandua and may have been captured from her ‘palace’. Another, wilder explanation is that Roman goods found their way to Venutius as payment for his help and support of a losing faction during the civil war of 69AD.